Feel alienated from the family or from peers? 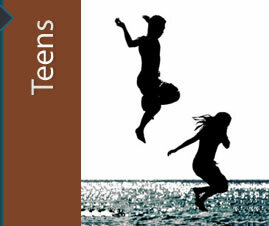 Adolescence is a challenging time for both teens and their parents. Teens sometimes have a hard time understanding why they do what they do. Adolescence is a period of rapid intellectual, social, and emotional change as teens struggle to move from dependent child to independent adult. For the teen, it is a time of asserting a separateness from the parents as the teen tries to figure out their own individual identity. For parents it is a balancing act between allowing your child to make his/her own decisions necessary to grow and providing guidance to a child still needing adult input. This transition period can be a scary and volatile time for both parent and child. Parents often need to learn how to communicate and support their teen in a different way than they learned from their own parents. Teens often need help learning assertiveness, responsibility and decision-making so they can make the transition safely. Therapy can provide a neutral and supportive environment to navigate these issues.